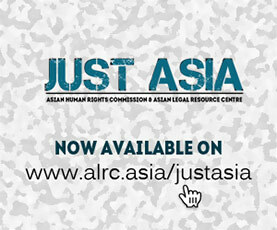 There is a significant absence of command responsibility within policing institutions throughout Asia. This results in the lack of accountability, which perpetuates a vicious cycle of abuse and impunity. When police officers violate the rights of citizens and are not held responsible for their abuses, fear is instilled amongst the population while the police are encouraged to continue their behaviour. Similar sentiments are felt when senior officers protect their subordinates instead of disciplining them. In order for human rights to be protected and the rule of law to be upheld, law enforcement officers must be accountable to the law. 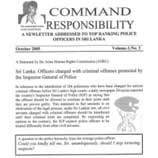 Lesson 1: The relationship between command responsibility and the impunity enjoyed by state officials. Lesson 2: International legal provisions on command responsibility and the domestic application of these provisions.